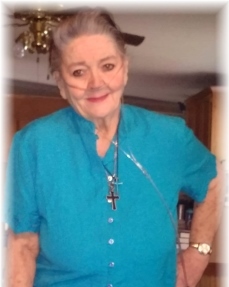 Brenda Farrish Hall, 74, of Vinton passed away Sunday, November 11, 2018. She is preceded in death by her mother, Lois Farrish and a granddaughter, Katie Thurston. Surviving are her daughters, Maggie Perkey (Danny), and Shannon Wright; son, Gary Catlett; grandchildren, Sherrie, Paul, Danny Lee, Jr., Michael, Jr., Timothy, Shawn, Christina, Elizabeth, Austin, Allen and Angel; and four great-grandchildren who were very close to her heart, Easton, Madison, Ryland and Dalton and seven other beautiful great-grandchildren. The family will receive friends Sunday, November 18, 2018 form 2 to 4 pm at Lotz Funeral Home, 1001 Franklin Road, Roanoke. A celebration of Brenda's life will be held at 1:00 PM, Monday, November 19, 2018 at Lotz Funeral Home with Pastor Devin Johnson officiating. Burial will follow at Mountain View Cemetery.